If you are looking for a delicious alternative to coffee, try a chai tea latte. Chai lattes include a number of aromatic and enticing spices, including cinnamon, ginger, star anise, clove, and cardamom, along with black tea, sugar or honey, and milk. The word "chai" is pronounced with a long "i" (and rhymes with "tie"). This is the term for tea in many eastern countries. The drink originated in India, where it has been consumed for centuries. Chai is now commonly found around the globe and is typically served in tea shops and coffee houses. You will find many recipes for these tea lattes online. They all vary, but generally have a number of spices. Aside from the items noted above, some recipes call for cloves, bay leaf, and other spices depending on taste. A chai tea latte served in a restaurant often has a foamy texture. This requires an espresso machine. When served in a restaurant, these drinks generally have a great deal of calories. For example, a 16-ounce drink generally has 240 calories in it. They are also high in carbohydrates (but low in sodium). Since a chai latte contains black tea, the beverage will have antioxidants. These chemicals are thought to help keep cholesterol and blood pressure levels low. They also are thought to help with the immune system and are cancer fighters. Various spices also have health benefits of their own. For more on the health benefits of tea, click here: Tea Health Information. You may add to this basic one-serving recipe to suit your tastes. You may want more cinnamon, for example, if you really like that spice. You might also try doubling or tripling the ingredients so you can make some share. Bring a cup of water to boil in a saucepan. Add the tea bag or loose leaf tea, cardamom, ginger, cinnamon, and black pepper. Cover mixture and allow it to steep for 3 to 5 minutes. Add sugar or honey and milk; heat until milk is hot. Do not allow mixture to boil. Strain and pour into a large cup or mug. If you have a milk frother at home, you may want to froth 1/8 - 1/4 cup of milk and spoon it on top of your prepared cup of chai, for an added touch of flavor and smoothness. Try experimenting with your chai tea latte recipe. You can substitute a stick of cinnamon for the ground cinnamon or fresh ginger root for ground ginger. You may also add cloves, either ground or whole, star anise, or peppercorn, if you want more spice. Try making chai with cocoa, nutmeg, saffron, fennel, or licorice for a delicious flavor twist. The variety depends on you. Instead of using sugar or honey to sweeten your chai, you may substitute stevia, nectar, sweetened condensed milk, or artificial sweeteners, if you prefer. Of course, you can also make a chai latte from prepared chai tea bags. Make the tea with hot water and then add heated milk. 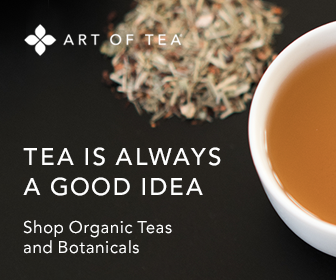 You can buy chai as an instant mix or in a concentrate, too. In addition, enjoy some chai iced tea by simply pouring your prepared mixture into a tall drinking glass filled with ice.